Happy New Year everyone! Hope you had a wonderful festive season. First post of the year, exciting! And I can't believe I actually started blogging a year ago... Double celebration it is then (I might put off detox for another few days). On the other hand, January is like the worst month of the year for me (followed closely by July). With everything on sale, a million emails in my inbox yelling temptation at me, for a shopping junkie like me it's impossible to resist the sirens' calls to buy yet another pair of shoes or a handbag that I will hardly ever wear... With every 'add to bag' click I get a quick shot of dopamine. Yet, a few weeks down the line, looking at my bank account I get cold turkey sober. So this post is meant to be contrary to my natural, neurotic instincts, eg aiming to pick out those wardrobe essentials that are worth investing in during the sales (not random grabs just because it's 50% off). I am not suggesting anything from the (proper) high street, not because I would discourage you to buy at cheap prices but simply because stocks disappear within hours if not minutes so it's pretty meaningless to try and list up the best of their sales. Instead, looking at my usual go to mid range brands (French mostly but not just), I have carefully selected what I would likely wear all year round (jackets, blouses, jeans and trousers, dresses) and for many seasons to come and therefore what I believe to be safe, lasting and, let's just say it, sane purchases in these rather irrational shopping period. Zadig & Voltaire Volly Velours Blazer, £189 (used to be £315) - who does not need a black velvet jacket? I certainly did and this is one of my only few sale buys (I promise, currently taking my pills) which I ended up with after returning an impulsive purchase (crazy sparkly dress which I was going to wear in two years time at an imaginary costume party when it would not fit anymore). Trust me it's a safe choice. Rebecca Taylor La Vie Long Sleeve Gauze Lace Top in chalk, £95 (used to be £175) - I have never regretted buying white victorian style (ok, let's say inspired) lace. 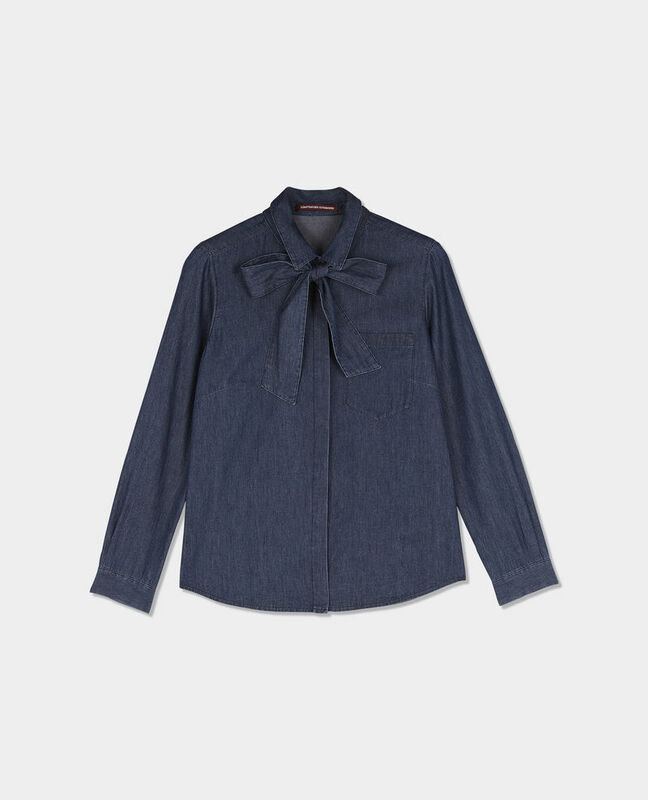 You can never go wrong with that sort of shirt, tux style at work or with blue flared denims during the weekends. Princesse Tam Tam Flirt Cami in Abyss Blue (also in blood orange and milky pink) 100% silk, £29.40 (used to be £49) - Silk camisoles have become as necessary as underwear to me (possibly more important than bras which I am finding hard to tolerate as I get older, strange). 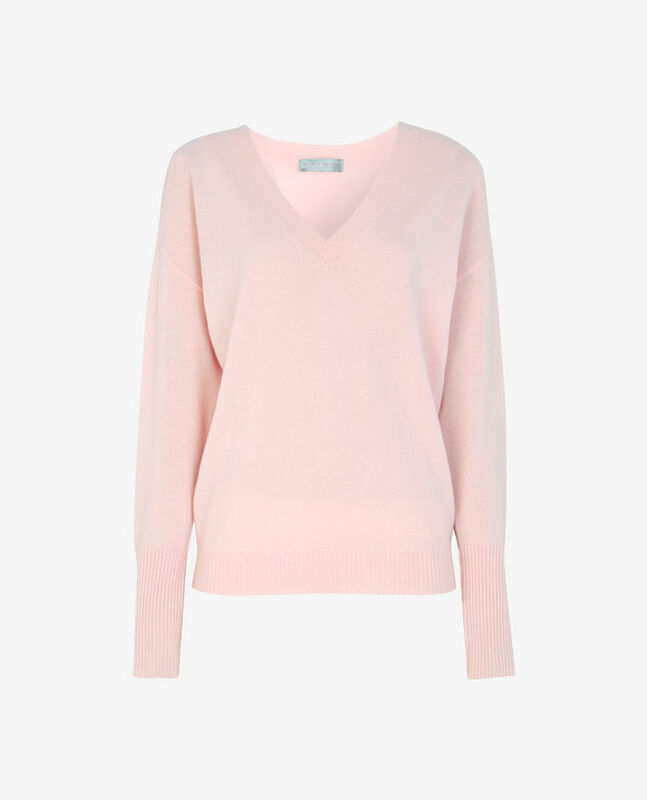 So at under £30, which is less than a third of a Zadig cami, that could be your best buy for the next 5 years. J Brand Suivi Crop in Allegiance, £95 (used to be £250) - One of my favourite jeans brands. Yet, I have never bought anything from them at full price (£250 for a pair of jeans, really??). 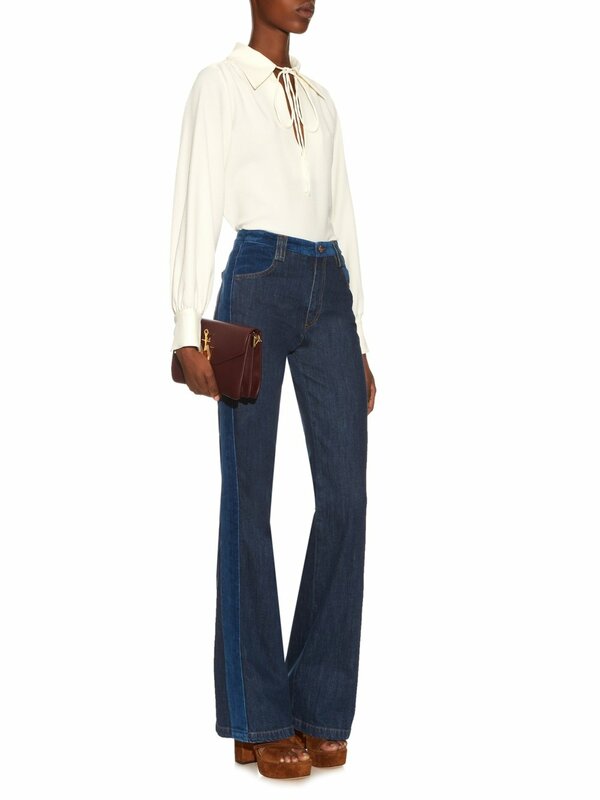 M.I.H Jeans Coler High Rise Cropped Velvet Flared Trousers, £147 (used to be £245) - My other favourite jeans brand although these are not technically jeans, I know. But anyway, MIH Jeans have the greatest cuts and the most comfortable jeans (along with JBrand) and velvet, cropped and flared is just so perfect. Maje Denim Dress with Velvet Details, £99.5 (£199) - Because I love denim dresses which make me feel a bit more free at work (possibly under the wrong assumption than it's like wearing jeans only it's allowed any day of the week). 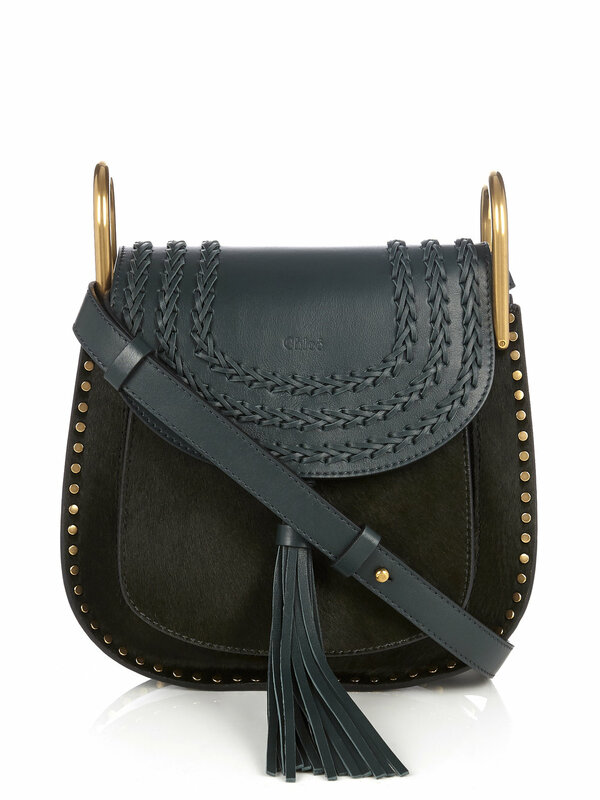 Chloé Hudson Cross-Body Bag, £1,099 (used to be £1,570) - I blame my obsession with this handbag on Figtny. She is been wearing it as part of her monochrome looks and she has made it look surprisingly timeless.